Stir all dry ingredients with a whisk in a mixing bowl, make a well and add yoghurt. Add a little milk if you need to soften dough, when all mixed together place in loaf baking tin, spread and pull dough to even out the dough to fit tin. 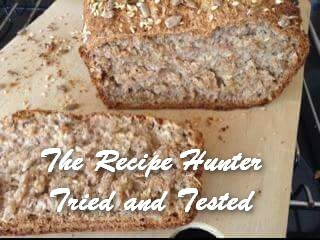 Sprinkle with sunflower seeds, oats & sesame seeds & Bake 1 hour.